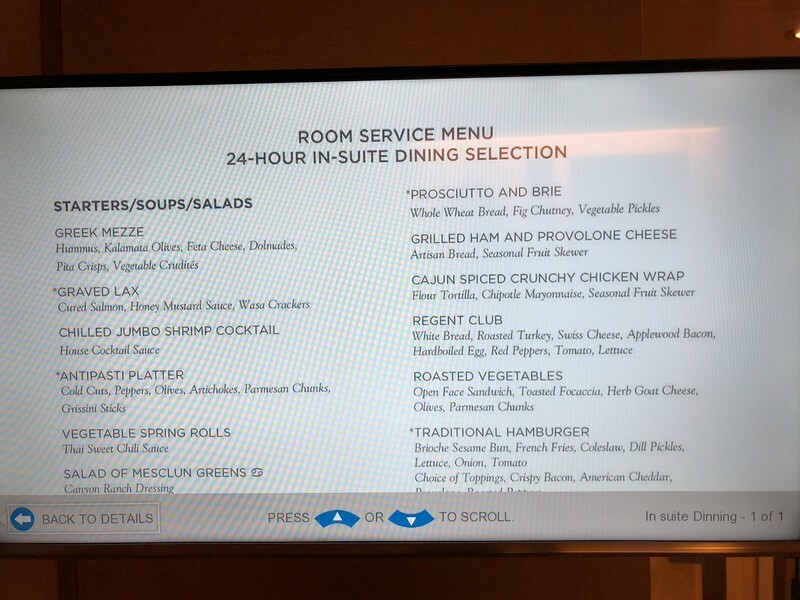 Speaking of room service, after having personally taken 57 Cruises, one thing that shocked & upset us the most recently on the mass-market/mega lines is that many are now charging for room service! (And as they’re getting away with it no doubt all of the big lines will do so soon) This was ALWAYS one of our favourite parts of Cruises, the Free room service that would cost a small fortune when staying in a Hotel. With Regent though, as they’re super all-inclusive, no worries, room service is still included in your price as well. The above & next couple of pictures give you a feel for the items offered on that menu and again, in the evenings you can order from the “Compass Rose” main dining room as well.